There is a trend for obesity in the U.S. and it is continuing to rise. Just take a look around and you will surely agree with this statement. Over the past five decades, obesity has increased in every state and across all genders, ages, races and educational levels. An estimated 70% of adults in the U.S. are now considered overweight or obese. 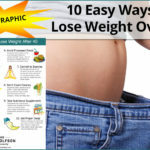 Weight gain occurs when energy (calorie) in exceeds energy (calories) out. Conversely, weight loss happens when energy expended is greater than energy intake. 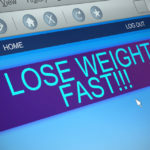 If your goal is weight loss be sure to define how many pounds you desire to lose overall. Then figure out how many calories you consume in a typical day and begin to decrease that accordingly. To lose 1 pound of body fat per week (how the majority of our weight is stored) you have to cut 3,500 calories out of your diet. Diet can be broadly defined as the types and amount of foods a person habitually consumes. It doesn’t mean “diet” in the sense that most people think of. Here at the Drs. Wolfson we advocate a Paleo diet for our patients. The principles of the Paleo diet reflect ancient ways and they support health, protect against disease and can aid in weight loss. In fact there have been some preliminary trials that suggest the Paleo diet could help with weight loss and correct metabolic disorders. Here are the best ways to start a Paleo diet. 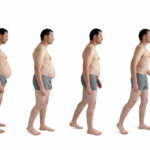 In our experience, if you follow a Paleo diet, your body will move naturally to it’s ideal weight. If you want to lose weight, then you must restrict the number of calories you consume. Downsize your portions. Listen to your internal cues. Eat when you’re really hungry but stop eating when you are comfortable yet not too full. Consume high satiety foods (ones that keep you feeling fuller longer) such as those high in protein. Protein is the most satiating macronutrient. Eat foods with a lower energy density such as vegetables and fruits. These foods provide fewer calories per gram of food, yet they can still be very nutrient dense. Ideally, you can consume about the same amount of food per day, but not the same amount of energy (calories). The thermal effect of food is defined as the energy it takes the body to process food. Basically it is how many calories that will be burned in order to break down food. In general, the thermal effect of food is greater (you will burn more calories) for high protein foods than high fat foods and for a meal eaten all at once rather than spread out throughout the day. Consider intermittent fasting as well. Drops weight very quickly and easily. Getting enough water is key too good health. It is also imperative to successful weight loss. Your body is made up of mostly water and it needs water to not only survive but to thrive. Research has also shown that drinking 1-2 glasses of water before a meal can help to lower the amount of calories consumed and thus aid in weight loss. A study found that when participants on a low calorie diet drank 500 ml of water before a meal they lost significantly more weight than those on a low-calorie diet alone1. According to an article in 2016 in Frontiers in Nutrition, increased water intake could help with weight loss due to its effect of either decreased food consumption or increased fat breakdown by the body2. It is speculated that eating foods with a high-water content (i.e. vegetables) can also benefit weight loss. Sleep is how our body naturally restores itself. Adequate sleep is essential to the biochemical reactions that occur in our body at every second to keep us fully functioning. Getting enough sleep makes us feel good and function better. 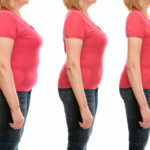 It also helps to regulate hormones, which are imperative to weight loss. Research has consistently shown a direct association between individuals who don’t get enough sleep and increasing rates of obesity3. In fact, a study found that getting greater than 7 hours of sleep per night significantly increased the success of weight-loss in participants3. Our ancestors walked a lot every day. Walking is something we can easily incorporate into our every day lives. This makes it a beneficial tool for weight loss. You don’t have to have an expensive gym membership to boost physical activity and lose weight. Recent research published in the Journal of Nutrition found that those that ate a calorie-restrictive diet and walked at least 2.5 hours per week had significantly greater weight loss compared to the group who was on the calorie-restrictive diet alone4. Additionally, those in the group of decreased calorie consumption with walking had a greater reduction in insulin resistance4. In order for walking to help with weight loss, pace is critical. Pick up the pace during your daily walks as this boosts heart rate and blasts calories. Even if you’re doing all the right things such as eating well and exercising regularly, if you have persistent, chronic stress this will not only contribute to weight gain but it can keep you from losing weight. It has been shown that chronic stress is also associated with elevated levels of cortisol and insulin, which can result in metabolic changes in the body and ultimately inflammation and increased adipose tissue (fat)5. Along with that, psychological stress is also linked to overeating5. Try deep breathing as you sit in the sunshine, or breath work during your afternoon walk. There are even many apps these days that are focused on breathing techniques. Breathing deeply helps support your body’s overall health. 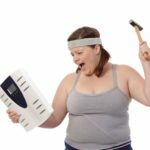 In order to lose weight, you’ve got to calm down! Leaky gut is related to a host of health conditions. It’s basically a tip of an iceberg that researchers are just beginning to chip away at. New research is helping us to understand all of the health implications of the gut. As of now, we know that changes in the gut microbiome, our body’s second immune system, are related to metabolism and weight gain. The microbial composition of the gut of obese individuals is vastly different than that of lean individuals 6. It is speculated that the Standard American Diet (SAD), which is rich in refined carbohydrates and trans fats, as well as an overuse of antibiotics, are the main contributors to the alteration of microbial populations seen in obese people 6. Gut health should be a top priority for weight loss. See our Leaky Gut protocol below. You need to make sure you’re getting the nutrients you need to support your weight loss goals and make them sustainable. Sometimes diet alone isn’t enough. Of course, be sure to consult with your doctor before adding any supplements to your daily routine. Berberine is great. It is naturally anti-inflammatory and helps to regulate blood sugar levels. Additionally, it also helps to support a healthy gut microbiome. One study showed that berberine treatment in mice resulted in decreased insulin resistance, normalized blood lipid levels and even weight loss7. Omega 3 fatty acids help to lower inflammation, support the gut microbiome and thus could support weight loss. A good multivitamin has chromium, which is an essential trace mineral needed for metabolizing your food. It can also help to regulate appetite and blood sugar. Our leaky gut protocol can also help to heal the gut and normalize gut ecology (kick out the bad bugs and increase the good ones) for successful weight loss. Be sure to pack the right Paleo snacks to support your weight loss goals. Additionally, don’t let summer plans hinder your healthy routine. Check out our post for the best hacks to support healthy eating all summer long. Soluble fiber helps to reduce appetite. It can also help to increase microbial diversity in the gut, which is associated with improved gut function and could aid in weight loss. Avocados are full of healthy, anti-inflammatory monounsaturated fats and fiber. They also boost that feeling of satiety. Broccoli is also rich in fiber and great for losing weight. Spicy foods can actually play a trick on your body and help you to eat less. Some spices, like turmeric and cayenne, are considered “warming spices”. These types of spices can actually raise body temperature and ultimately rev up metabolism. Ginger, another warming spice, has many of the same fat burning effects as turmeric. Other spices like cinnamon can regulate blood sugar levels and boost satiety. Try sprinkling spices onto your meals and throwing them into your morning juices. Spices are also heart-healthy. Alcohol is an empty calorie food. This means that it provides many calories but no nutrients. When the body is in an excess energy state (i.e. taking in more calories than burning) it will automatically store alcohol (7 kcals/ g) as fat. Because alcohol does contain “empty” calories it is a great item to eliminate from your diet right away. Writing in a food journal can help you to lose weight by keeping you accountable and more aware of your food choices and patterns. A study published in the Journal of the Academy of Nutrition and Dietetics found that out of 123 participants, those that did the most food journaling had the greatest weight loss8. The findings suggest that self-monitoring of one’s diet is a critical tool to successful weight loss as it is a major part of behavioral modification. Sunshine melts fat. Another health benefit of regular sunshine: those with higher levels of vitamin D weight less and burn fat easier compared to those who are deficient in vitamin D 9. Plus, sunshine protects against disease. 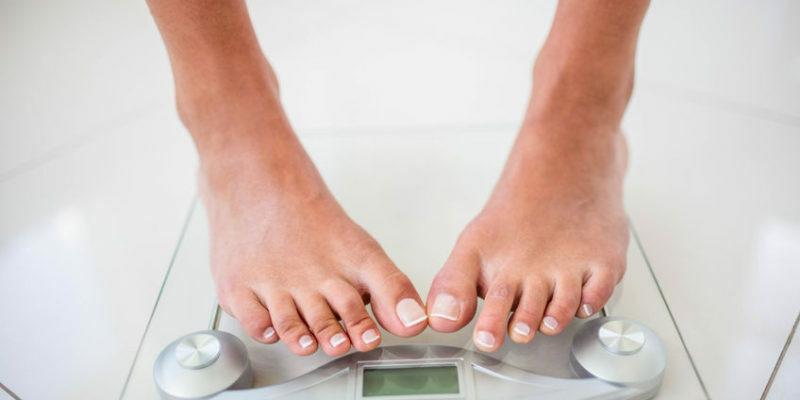 When the nervous system is turned “on” with regular chiropractic care, weight loss will ensue.